Beard Oil: A complete guide to beard oil and its uses - Love With Travel - A Travel and Lifestyle Blog. Beard oil is the grooming product for men you never knew you will ever be needed. Unless you grow out your facial hair, beard oil would be entirely superfluous to your requirement. To the hairsuite though, the conditioning capability of beard oil is indispensable. Not using it yet? Read on to explore why applying beard oil to your beard will not only help you grow a better beard but also make it more healthy, shiny and sweet-smelling in the process. Beard oil is a specially formulated oil, designed and created to be applied to your beard. It’s lighter and more easily absorbed than any other oil. Beard oil also tends to be scented, leaving your beard smelling good all day long. Why Should I Be Using Beard Oil? Beard oil will soften your coarse hair and help make it easier to style. And also it will help condition the skin underneath your beard, reducing the chances of it becoming itchy or flaky. Lastly, as we’ve mentioned above, beard oils tend to be scented, so your beard smells fantastic all day. How Long Does My Beard Hair Need to Be? In theory, you can apply beard oil to any length of stubble, or even you can use it as a serum on your freshly shaved face (although if you were going to do that we’d recommend using a proper skin serum instead of beard oil). For maximum effect and result though, we’d suggest applying it once your beard has started to grow enough to cover the skin underneath- let`s say somewhere around the centimeter mark. How and When Should You Apply It? Like any other grooming product, how often you should apply beard oil is entirely dependent on you. Some beard oils will absorb and wash out easily, making them ideal for daily use once or twice. Some will have a little more staying power which makes them better suited for everyone who doesn’t have enough time to wash their beard every day. When you do use beard oil, we’d suggest washing your beard with any beard shampoo that’s better suited for coarse hair than any other regular shampoo. Towel or blow-dry it, depending on how thick your beard is and apply the beard oil as per the instructions mention on the bottle. Comb it or work it in with your fingers to the beard down to finish it off. 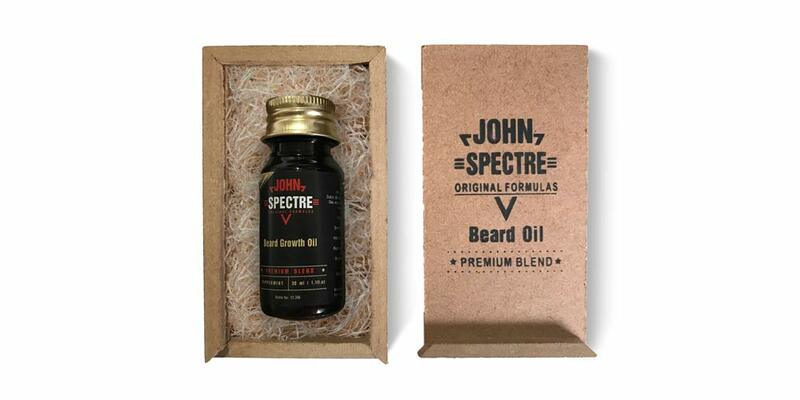 John Spectre Beard Oil is created with many natural ingredients to nourish your beard and the skin underneath. The non-sticky formula of John Spectre Beard Oil hydrates your beard without making it sticky, heavy or greasy. It controls the frizz and the dryness of your beard after a wash. It exudes a subtle fragrance for that perfect smell all day long.